A group of volunteers will soon focus their efforts on an area in the Mt. Hood National Forest. 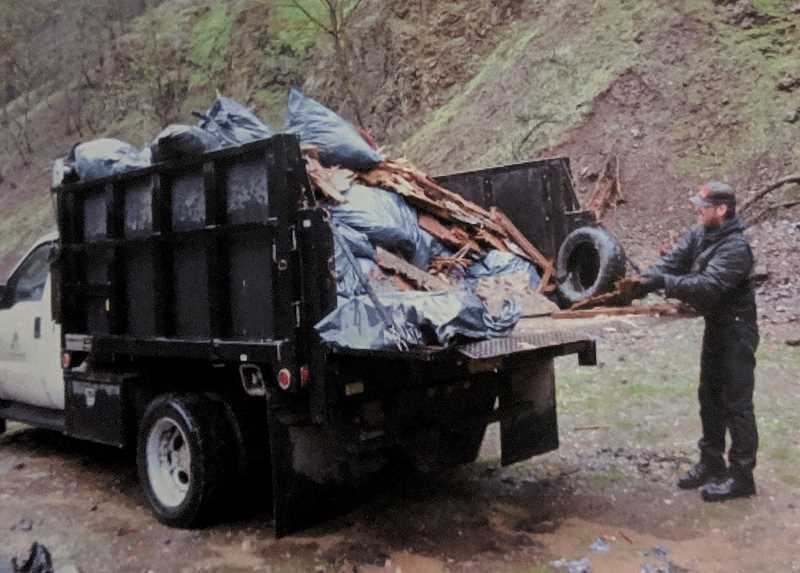 Trash No Land will partner with the U.S. Forest Service and Clackamas County Dump Stoppers to organize the 36 Pit Cleanup, scheduled for 9 a.m. to noon, Saturday, April 20. The 36 Pit is 11 miles east of Estacada along Highway 224 and is a popular spot for target shooting. "It's the first place you can shoot when you enter the forest. It gets a lot of use and it gets trashed quite often," he said. Typically, the event draws between 20 to 30 participants. "With that many people, it doesn't take long to clean the area up," Cogley said. He noted that he sees many valuable elements of the cleanup. "The Mt. Hood National Forest gives so much pleasure all year long, and we want to give back," Cogley said. "No one likes trash in the forest. It's not a natural part of the forest." Trash No Land is a Washington nonprofit group that strives to promote responsible target shooting and stewardship. Each year, the organization coordinates cleanups in forests throughout Oregon and Washington. For more information, visit www.trashnoland.org. and Clackamas County Dump Stoppers. When: 9 a.m. to noon, Saturday, April 20.